Introducing the latest addition to our innovative glass doors collection - the Ultra Slim Patio Door has just under 20mm of visible frame each side of the patio doors - we know of no other fully retractable patio door system that has achieved such minimal frame width. 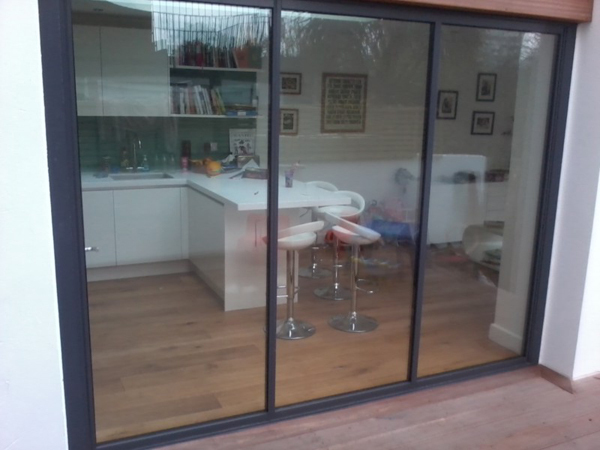 Ultra Slim patio doors work with a slide and turn (or slide and pivot) action. The primary door is used as a regular, opening door, then enabling other doors to slide along the top and bottom guides. 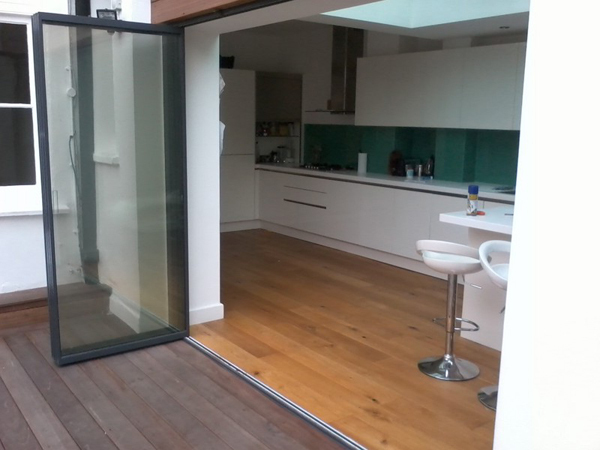 Therefore it can be operated as easily as a traditional Bifold, or sliding folding door. Position them wherever you wish or slide the doors to the end of the aperture where each door will pivot 90 degrees to stack against the previously opened door. In this way, virtually the whole of the opening is cleared for access. 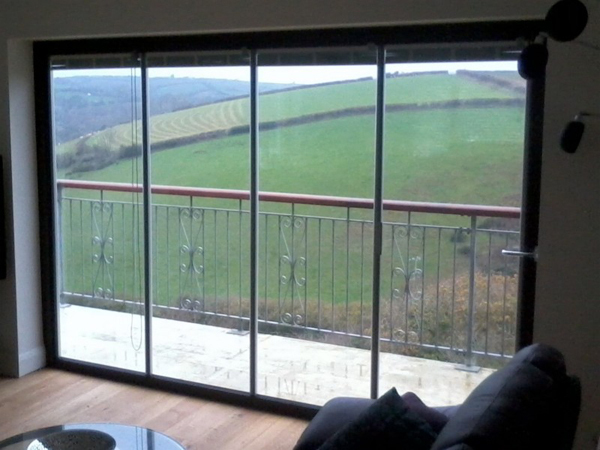 There are many patio door suppliers out there, so why choose us? The reason is simple, many of these companies do not manufacture their own products. 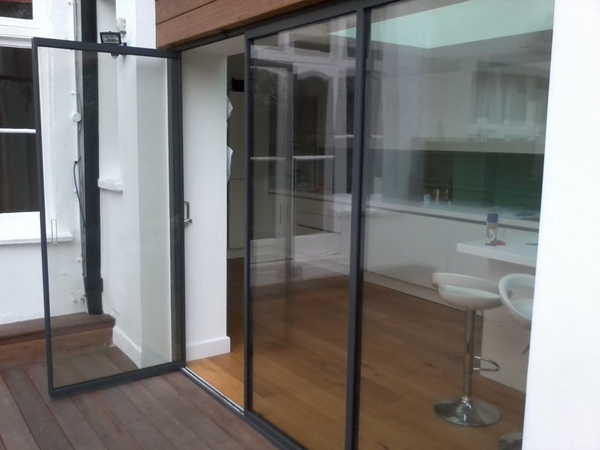 We were one of the first companies in Europe to design and manufacture the aluminium bifolding door system, and this leads to many benefits for the end user. 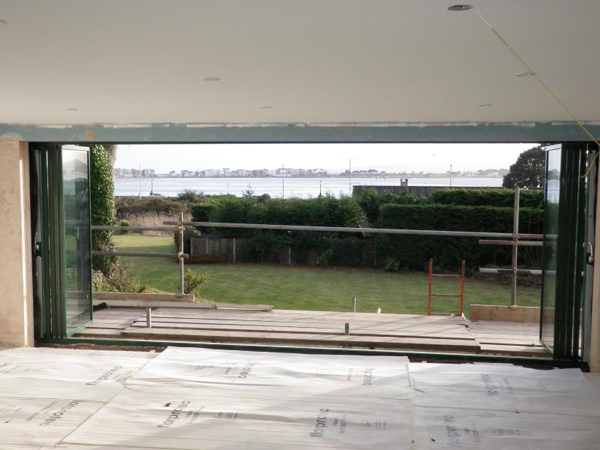 All our frameless glass doors and bifold doors are manufactured at our head production facility in Luton, Bedfordshire. We also powder coat all of our products 'in house' which means we can offer a quicker turn around time, lower costs and a bigger variety of colour options. As we design and manufacture all of our door systems in house every door system is made to measure. 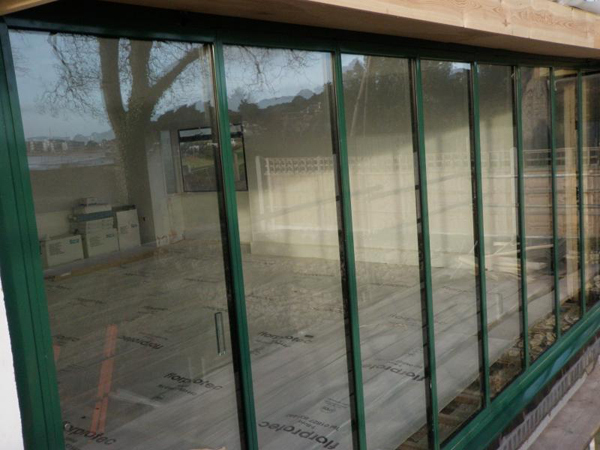 This also means that if problems do arise, our trained installers and fabricators are on hand with the know how to solve the problem as quickly as possible.